Jared Kushner, President Donald Trump’s son-in-law, is the administration’s not-so-secret technology whiz. Kushner went from running Trump’s secret campaign data analytics operation to taking on the more public role of leading the White House Office of American Innovation. The 36-year-old former real estate executive has many jobs, driving foreign and domestic policy, making decisions on presidential personnel, and serving as an adviser on relations with China, Mexico, Canada, and the Middle East. The innovation office focuses on technology and data. Kushner has consulted with Apple CEO Tim Cook, Microsoft founder Bill Gates, Salesforce CEO Marc Benioff, and Tesla founder and CEO Elon Musk. In June 2016, Kushner set up a data analytics force in a building outside San Antonio that would become a 100-person data hub designed to inform every decision of the Trump campaign. The team was able to tap into the Republican National Committee’s data machine, and it hired companies like Cambridge Analytica to map voter regions and identify which parts of the Trump platform mattered most. The team was able to pinpoint TV shows that drew the most Trump supporters who cared about certain issues. For example, NCIS fans disliked the Affordable Care Act and fans of The Walking Dead worried about immigration laws. Kushner built a custom geo-location tool that plotted the location density of about 20 voter types over a live Google Maps interface, according to reporting done by Forbes. The data analytics team used machine learning to kill ineffective ads in minutes. This allowed the Trump campaign to raise more than $250 million in four months. 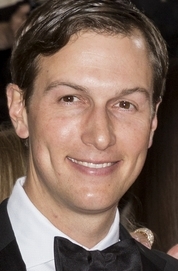 Kushner’s work was overlooked during the campaign, possibly due to the fact that he rarely speaks to the media about his efforts. Kushner, who did not respond to requests for comment for this story, is taking that momentum to the White House IT structure. Trump tasked Kushner with using data to inform the decisions on how to restructure the executive branch due to the executive order that was signed in March. Kushner also has a hand in the American Technology Council, which was established earlier this month under the Office of American Innovation. The council is inviting industry leaders from Silicon Valley to a summit in June to obtain ideas from the private sector. About 20 technology company CEOs will spend half a day in working sessions, according to reports. Kushner’s seemingly natural talent for emerging technologies, which pushed the Trump campaign to its full potential, will be the administration’s not-so-secret weapon in achieving its campaign promises.